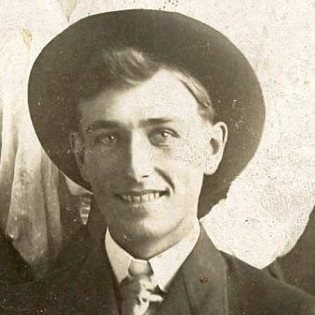 For some time now, I have not really had a lot of information on my grandmother, Anna Schumacher Spencer’s brother, Albert Schumacher. My Aunt Bertha Schumacher Hallgren, their younger sister wrote a few things in her journal, and I have connected with one of his great grandchildren, but she doesn’t have much information on him either. There were a few pictures of him in my Uncle Bill Spencer’s family history, as well as my grandmothers photo album and my dad’s photo album, but unfortunately for those of us left behind, there is not always good information about the pictures, except what my Uncle Bill was able to find out, because he documented pictures very well, if he had information on them. Uncle Bill started his family research long before computers, and since he really knew very little about computers, he never really furthered his research there. It was a fact that I found very sad, because I think he would have been so excited about what he would have been able to fine online. 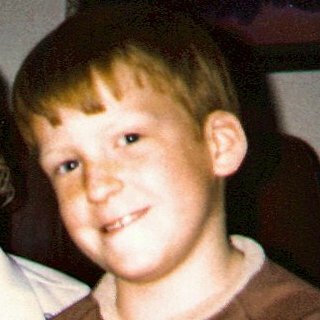 That said, I will tell you that the latest little tidbit of information, came not online, but rather through the hard work of Uncle Bill, and the pictures found in the albums of my dad and grandmother, that ended up being connected to what we knew from all of Uncle Bill’s hard work. It is completely amazing to me that it wasn’t all of the technology we have today that helped with the discovery to any large degree, but rather the old fashioned way of putting the history together that was so common to my Uncle Bill. I have looked at the pictures, I have been so blessed with, dozens and dozens of times, but somehow, at some point, something jumps out at me when I least expect it. One picture reveals to me a distinct similarity to another picture, and when I look at them side by side…well, there it is. That is exactly what happened the other day when I was looking at pictures, and I noticed that the man in a wedding photo I was looking at, looked very familiar. I knew I had seen that face before, and I knew exactly where I had seen it. In comparing the two pictures side by side, my revelation was confirmed. 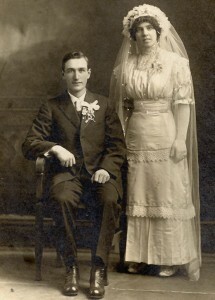 The picture I was looking at was a wedding picture, and the man and woman in the picture, were my Great Uncle Albert Schumacher, and his wife Christine Ida Froemke Schumacher. How could I have missed that? I had no other pictures of Christine, of course. so it couldn’t have been her that caught my eye. No, it was the man, and he was most definitely my great uncle Albert. When I put the two pictures side by side, it left no doubt in my mind, I had found my Great Uncle Albert’s wedding picture. That was so exciting to me that I sent my sister Cheryl Masterson a text at about midnight. Now thankfully she didn’t hear it, because we both had to work the next day. This is just what the excitement of my discovery caused me to do. I guess that once you get into the family history, it can be very addictive. I think maybe I’m my Uncle Bill’s niece in that way too. I can’t say that I’m surprised at all. After a horrific accident such as Space Shuttle Challenger’s explosion 73 seconds after liftoff on January 28, 1986, taking with it seven astronauts, it is only prudent for NASA to have stopped all future flights until they knew the cause and had a fix in place. 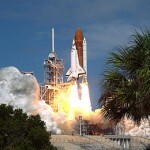 The Space Shuttle program was really NASA’s greatest achievement, and Challenger was its second shuttle into space. Challenger had a great record, having been sent into space nine times…before disaster struck on the tenth trip. The Space Shuttle Challenger was first intended to be a test vehicle, Construction began in November of 1975. It was sent for testing on April 2, 1978, and after eleven months of vibration testing they decided to make it an actual vehicle. 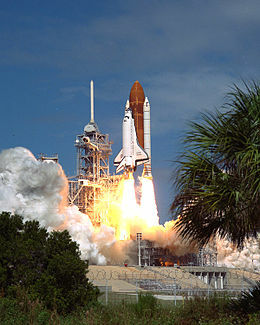 The first shuttle to be built into an actual workable unit was the Columbia, which ended up breaking up on February 1, 2003, to become the second time NASA lost lives in flight. After Challenger blew up shortly after liftoff, NASA had to see what went wrong, and the space program was on hold for two years and eight months. Finally, after it was determined that an O-Ring failed due to weather that was too cold, a different NASA emerged. No longer would there be a rush to launch. Conditions would be right, or the launch would be scrubbed. It had to be that way. And yet we, as a nation, knew that America belonged in space. This was more that just a whim, but was rather an important contribution in many areas. The scientists who went into space performed experiments that led to many things we use today. Not to mention all of the information we have learned about our own little part of the universe. It was time to put America back in space. So, on this day, September 29, 1988, NASA launched STS-26. It was the return to flight mission, and it was a success. The mission lasted four days, one hour, and eleven seconds, and traveled 1,680,000 miles, making 64 orbits around the Earth. The Shuttle that made the return to flight mission was the Discovery. 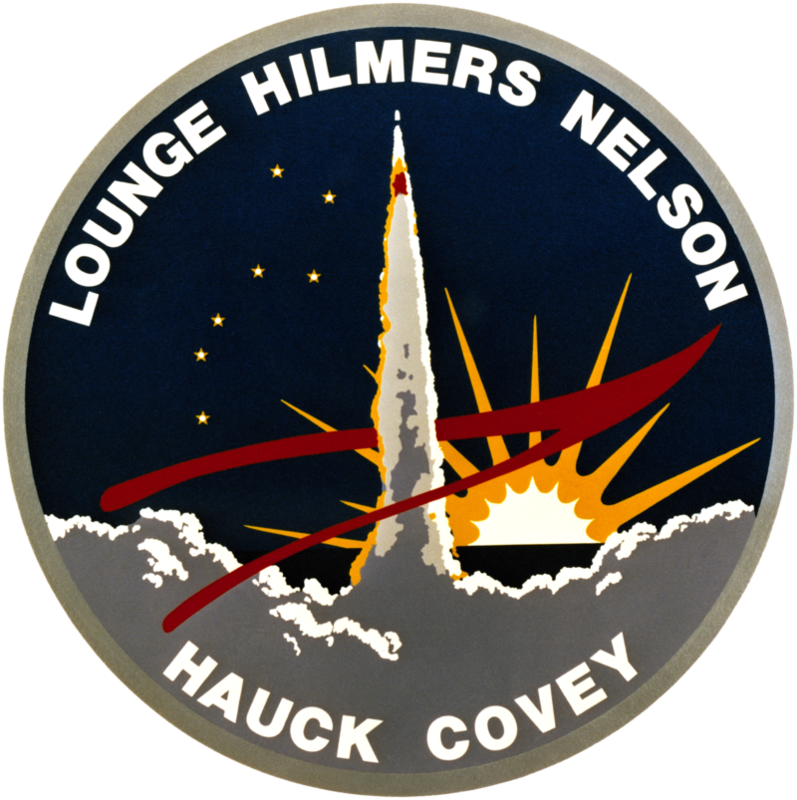 On board were Frederick H Hauck, Richard O Covey, John M Lounge, Davis C Hilmers, and George D Nelson. I’m sure there were moments of anxiety, especially at the moment when the command to Go with Throttle Up, the very command that led to the explosion of the Challenger, was given. 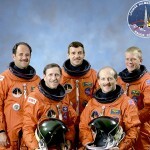 Nevertheless, these men went, and made it through that anxious moment, to have a successful mission. 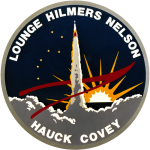 It was the first mission since STS-9 to use the original STS numbering system, the first to have all its crew members wear pressure suits for launch and landing since STS-4, and the first mission with bailout capacity since STS-4. 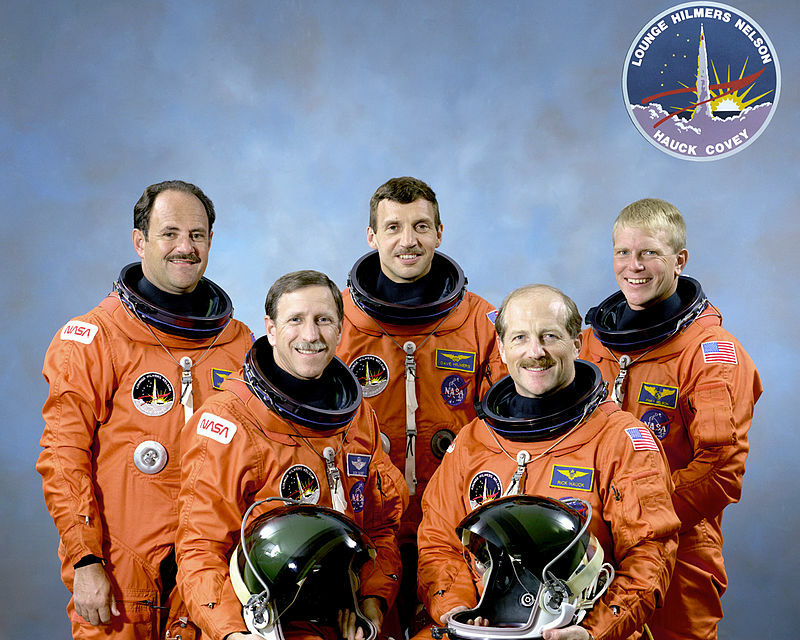 STS-26 was also the first all-veteran crew mission since Apollo 11, with all of its crew members having flown at least one prior mission. I’m sure there were specific reason for each of those things, but my guess is that it was mainly to have all the best possible precautions in place. 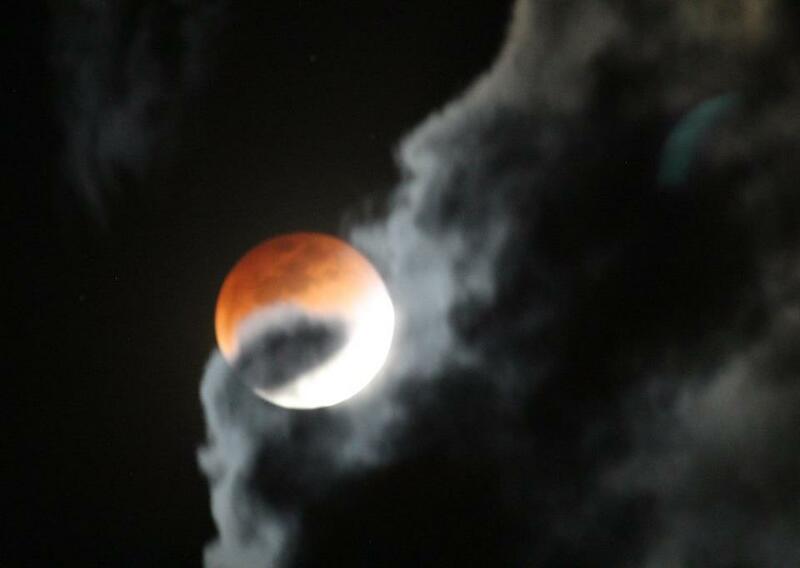 As I was watching last night’s Blood Moon, my thoughts drifted to my mom, Collene Spencer. Mom had been so excited about the Blood Moons. I believe she was only able to see one of them, but she looked at all my pictures of them. These Blood Moons were special. They all fell on Jewish holidays…two on Passover and two on Sukkot. That hadn’t happened in a very long time…1967 was the exact last time. Prior to that 1948, and 1492 were other times that had happened, in fact. Mom was very excited about these four Blood Moons, because she could feel the significance of them. In fact, it was my mom who pointed them out to me, long before they were due to happen. 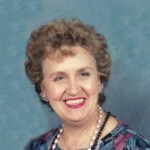 She had heard about them while watching John Hagee on television. Her excitement got me excited. It became a source of anticipation for both of us. I suppose that is why this one…without her, was a little sad for me. 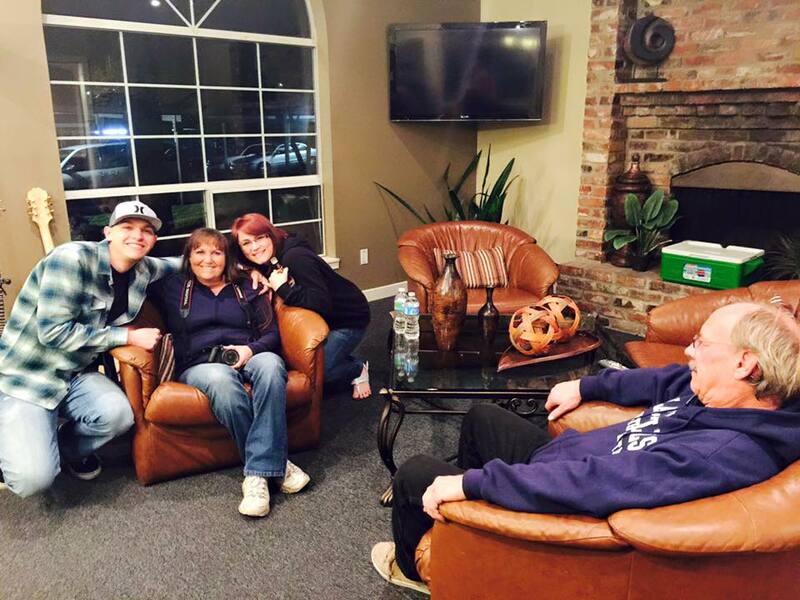 Nevertheless, I watched it with great anticipation…for both of us, as did the rest of the family. I found myself wishing that she could have been here for this one too. Then, I started wondering, “What would the Blood Moon look like from Heaven.” It reminded me that I had seen fireworks once from an airplane, and while they were still fireworks, it just looked different, so what would the Blood Moon look like from Heaven? Could they see it from there? Did they even think about it? 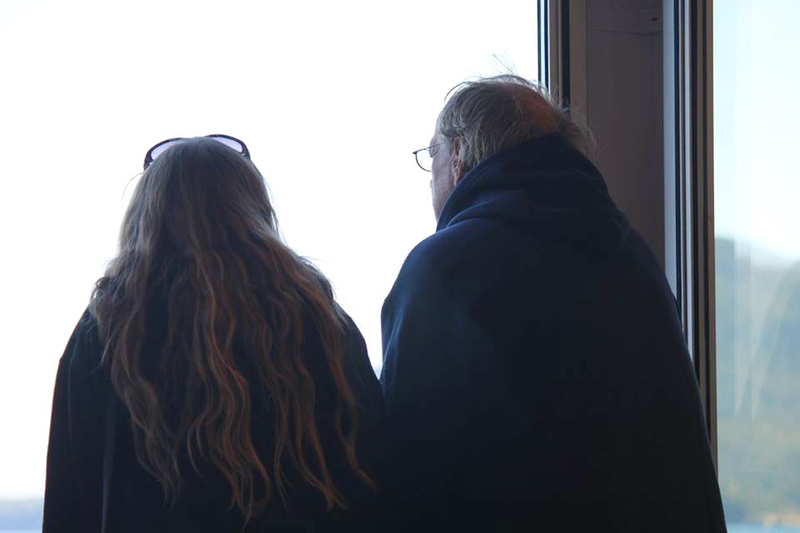 In some ways, I found myself hoping that Mom, and Dad too, could see it, because it is a beautiful thing, and I knew that they would really have loved it. It is so hard not to be able to share things like this with my parents. I would love to be able to pick up the phone and tell them to go outside and have a look and such an awesome sight, but there is no phone that can reach them now. 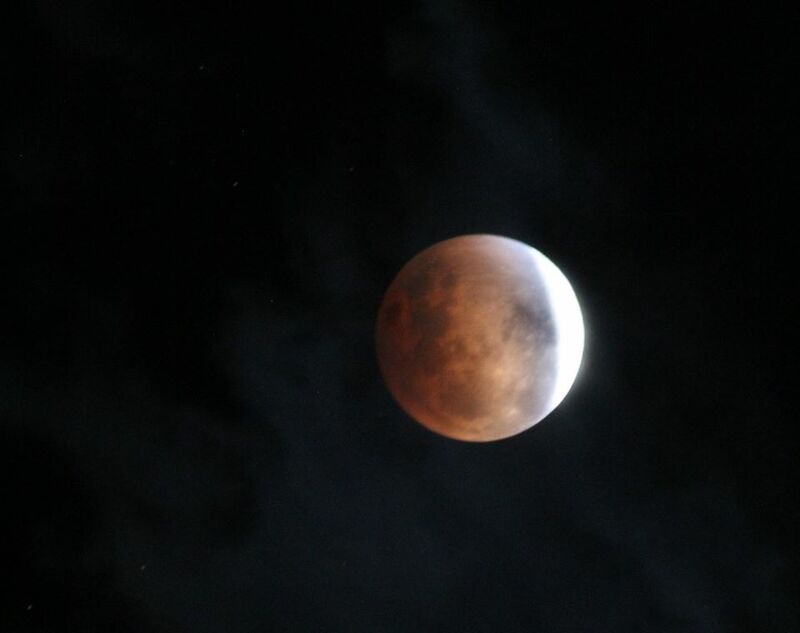 Nevertheless, they, and especially my mom, would have loved last nights Blood Moon, because even though the clouds obscured much of the full eclipse, I was able to see most of the second half of the eclipse. It was a beautiful show, just a little bit sad for me. 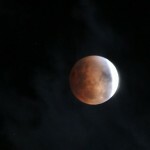 While I loved watching this the last in a series of four Blood Moons, it was bittersweet too. 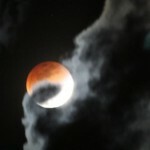 I was sorry that the Blood Moons were over, because they were just so special. I was sorry they were over because of the connection that I felt to my mom because of all our discussions about the four Blood Moons. And I was sorry that they were over, because I believe that God speaks to us through signs in the sky…like the Star of Bethleham…and that made this event so much more amazing. I suppose that it will not matter to me whether or not Mom and Dad could see the Blood Moon, when I get to Heaven, because by then it will seem very anticlimactic. Heaven and seeing God face to face will be far more important. 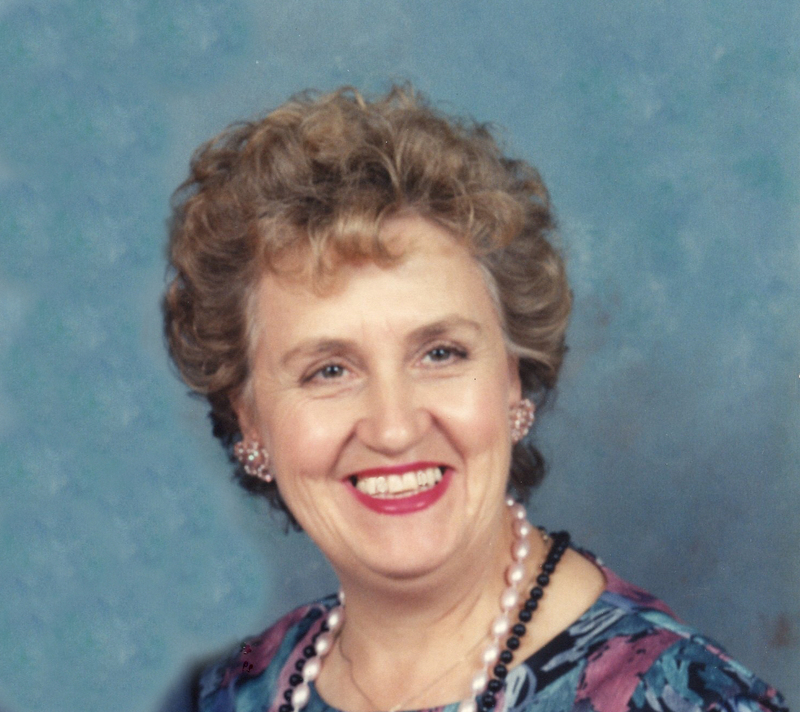 Nevertheless, for now, we have the moments we have, and while my mother was not here to see it, I know she would be glad that so many of her children did get to see it. People always seem to be in a hurry. We encounter cars that fly past us trying to get to their destination on time, when they really didn’t allow enough time for the trip. We are all guilty of running late, and even of speeding to make it on time, and as we all know, sometimes our habit of running late and being in such a hurry, can have bad consequences. Sometimes the consequences of running late can be devastating. Such was the case with Old 97, a mail train for Southern Railways. While it’s number was simply number 97, and it was officially known as the Fast Mail, its nickname was Old 97. The train ran from Washington DC to Atlanta, Georgia. 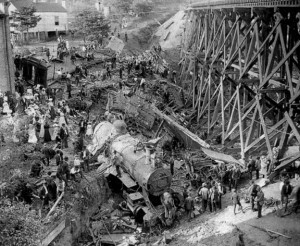 On September 27, 1903 it was en route from Monroe, Virginia, to Spencer, North Carolina when disaster struck…or rather was forced upon the ill fated train. When the train arrived in Monroe, it switched train crews and when it left Monroe there were 17 people on board. The train personnel included Joseph A Broady who was the engineer, nicknamed “Steve” by his friends, John Blair was the conductor, A C Clapp was the fireman, John Hodge was a student fireman, and James Robert Moody was the flagman. Also aboard were mail clerks, including J L Thompson, Scott Chambers, Daniel Flory, Paul Argenbright, Lewis Spies, Frank Brooks, Percival Indermauer, Charles Reames, Jennings Dunlap, Napoleon Maupin, J H Thompson, and W R Pinckney, who was an express messenger. As they left Monroe, Old 97’s engineer, 33 year old Broady found himself running late, and in a hurry to get the train back on schedule. When the train pulled into Lynchburg, VA, Wentworth Armistead, who was a safe locker boarded the train so at that time there were 18 men aboard. The train consisted of four cars, and Broady was operating the train at high speed in order to stay on schedule and arrive at Spencer on time. You see, Fast Mail had a reputation for never being late…and a contract that included a fine if they were. Old 97 was behind schedule when it left Washington, DC and was one hour late when it arrived in Monroe, Virginia. All that was unacceptable, but Southern Railways and Engineer Broady were about to discover two things. The first is that it is always best to stay on schedule, when a schedule is an important part of your job. The second is that there are far worse things than being late. By the time Old 97 reached the Stillhouse Trestle near Danville, Virginia, Broady realized, with a horrible sense of dread and impending doom, that he did not have enough air pressure to slow the train for Stillhouse’s upcoming curved trestle. 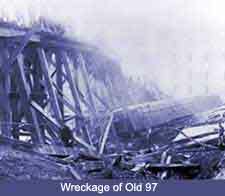 He tried, in vain to slow the train down by reversing the engine to lock the wheels, but Old 97 vaulted off the trestle, and 11 people were killed. Nine men of the eleven who died, were killed instantly. Seven men were injured. Among the deceased were the engineer Broady, conductor Blair, and flagman Moody. The bodies of both firemen were recovered, but they were mangled so badly they were unrecognizable. There were several survivors to the wreck who believed they survived because they jumped from the train just before the fatal plunge. Among the three survivors was an individual named J Harris Thompson of Lexington. Harris was a mail-clerk who served on the Southern Railroad. He later retired on May 1, 1941. W R Pinckney, the express messenger who also survived went home, located in Charlotte, North Carolina, and immediately resigned after the experience. 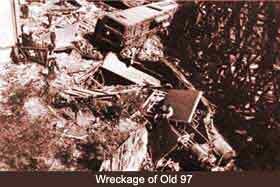 Two other survivors included Jennings J Dunlap, and M C Maupin. These two men did not resign and continued their work, but started in new departments. Dunlap went to work on a train that ran between Washington and Charlotte, while Maupin worked at the Charlotte union station. The horrible pictures of the aftermath of the crash taken from above the scene ran in newspapers across the country. At Monroe, Broady was instructed to get the Fast Mail to Spencer, 166 miles away…on time. The scheduled running time from Monroe to Spencer was four hours and fifteen minutes at an average speed of approximately 39 miles per hour. In order to make up the one hour delay, the train’s average speed would have to be at least 51 miles per hour. Broady was ordered to maintain speed through Franklin Junction, an intermediate stop normally made during the run. This was a time when train wrecks were not uncommon, but the day after the wreck, Southern Railway’s Vice President stated that “The train consisted of two postal cars, one express and one baggage car for the storage of mail… Eyewitnesses said the train was approaching the trestle at speeds of 30 to 35 miles an hour.” The Southern Railway placed blame for the wreck on engineer Broady, denying that he had been ordered to run as fast as possible to maintain the schedule. The railroad also claimed he descended the grade leading to Stillhouse Trestle at a speed of more than 70 miles per hour. Several eyewitnesses to the wreck, however, stated that the speed was probably around 50 miles per hour. In all likelihood, the railroad was at least partially to blame, as they had a lucrative contract with the US Post Office to haul mail…a contract that did include a penalty clause for each minute the train was late into Spencer. It is probably safe to conclude that the engineers piloting the Fast Mail were always under pressure to stay on time so the railroad would not be penalized for late mail delivery. And being under pressure can be deadly. 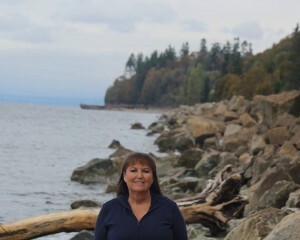 After Bob and I had the opportunity to view the old minesweeper, now located off Picnic Park near Edmonds, Washington, I have been curious about mines and minesweepers, in general. That said, I did a little research on them, and was surprised at what I found. Landmines have been in existence since the early Ming Dynasty in the 1400s. It seems such a strange thing to me to set explosives in areas where they could not only trigger an explosion when an enemy crosses paths with them, but they could also trigger explosions when their own citizens crossed paths with them. I suppose those accidental friendly hits would be considered collateral damage, and were acceptable losses in the grand scheme of things, but it still seems like a horrible way to guard an area. Still, it was definitely an effective way to guard and area, border, or waterway. 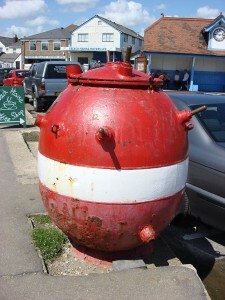 Nevertheless, I can understand why countries such as England, who is surrounded by water, and therefore vulnerable to certain types of attacks, especially during the earlier wars, like World War I and World War II, might have decided as they did in World War II, to lay mine traps to guard against movement by the German U-Boats in World War II. The U-Boats were feared by all their enemies, and considered one of the biggest dangers in the war by Winston Spencer Churchill. They made it almost impossible to have any prior knowledge of their presence, until it was too late to get away from them. Still, putting mines in the English Channel, where your own ships had to maneuver too, almost seems like taking a risk that would be greater than the benefit that it provided. Nevertheless, submarine traps were laid in the English Channel, and they served a purpose. When considering a minesweeper in World War II, when ships were made of metal, I was curious as to why there would be a wooden hulled minesweeper in World War II. It has come to my attention that the minesweeper in Edmonds, may not have seen action at all. 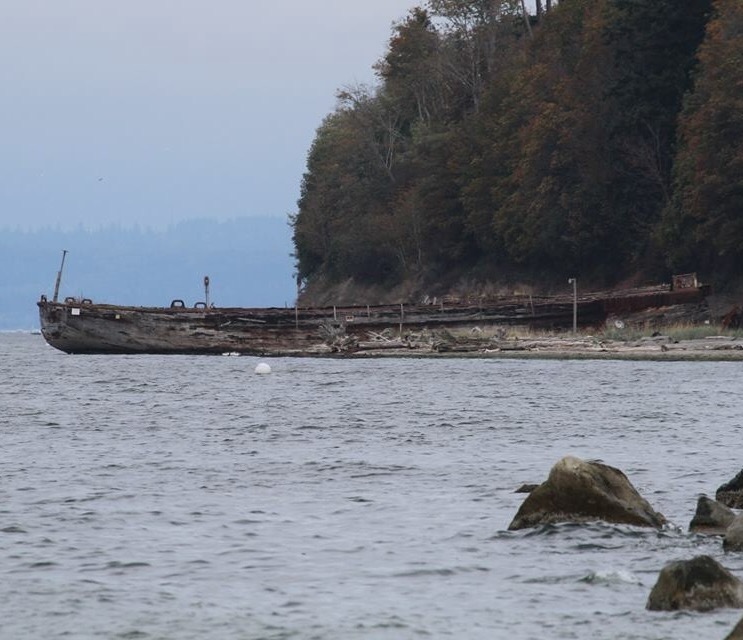 There seems to be a bit of confusion as to when it was built, and when it came to it’s final resting place in the Edmonds area. If it was indeed built for World War II, and never saw action, then my thought was why was it a wooden hull. I found the answer to that in my research on mines. There are several types of mines, as I mentioned earlier. Landmines were the earliest, but when it came to floating mines, they were mostly magnetic. Now when you put a metal minesweeper, or any other metal ship or submarine, near a magnetic mine…well, I’m sure you can get a picture of the seriousness of the problem they would have. A wooden hulled minesweeper on the other hand would have to actually come into contact with the mine to have that problem. Perhaps this was the reason for mines laid under the surface of the water and held in place by a cable. They were more invisible to the eye, and so created the ability to trigger the explosion when an unsuspecting ship or submarine found themselves in the wrong place. These mines blew a hole in the hull, rendering the ship or submarine helpless, as it took on water and quickly sunk. There have been stories in the news over the years, of mines showing up on the shore years after they were laid. It was a big problem, as were the landmines that were left after the wars. No clear record were kept apparently, and so removal of the mines was never made a priority. I remember when Princess Diana made it one of her priorities to find a way to get those landmines removed. The injuries to so many people who wandered into a minefield just tore at her heart. In hearing about the stories of tragedies resulting from those minefields, my mind cringed at the thought of those injuries. I found myself thinking that her quest to remove them was such an important one. Because I love to hike, I can see how easy it could be to create a trail that would cross paths with a minefield that has been around for decades. Sometimes, the necessary weapons of our warfare bring such destruction, that you find yourself wondering why people and nations can’t just get along, but we all know that is not to be. As long as there has been life on Earth, there have been wars of one kind or another, and I don’t expect that to change now, so these weapons will continue to exist and to be a big problem. A few days ago, I wrote about the United States Constitution, and how it was ratified by Massachusetts, with the condition that it be amended to include some rights that they felt were very important. On this day, September 25, 1789, those amendments were created. 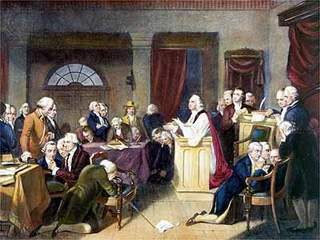 The first ten became the Bill Of Rights. These amendments would not be ratified until December 15, 1791. These days, there is some confusion and some complete ignorance as to the meaning of some of these rights…especially the first amendment. I can’t count the number of times that I have heard that according to the constitution, we are to have separation of church and state. That could not be further from the truth, and in fact would be an impossibility. The very idea that a person who holds political office could separate his or her religious values from their voting on matters concerning laws of the land is insane, and it is not what our forefathers meant when the Bill of Rights was created. The first amendment reads, “Congress shall make no law respecting an establishment of religion, or prohibiting the free exercise thereof; or abridging the freedom of speech, or of the press; or the right of the people peaceably to assemble, and to petition the Government for a redress of grievances.” All the first amendment…the part concerning religion, anyway…means is that Congress in not allowed to make a law saying that the United States is going to be one certain religion. England had such a law, and that was one of the main reasons the pilgrims left there. Religion has been in the news a lot lately, and there have been many arguments about it. Which brings me to the next part of the first amendment “or prohibiting the free exercise thereof.” People don’t have to agree with my views on religion, but they are prohibited from telling me that I cannot express my religious views in speech, or on the internet. There are a lot of people telling other people that they have no right to talk or post about their religion, but they are completely wrong. We have every right to do so. Contrary to what some people might think, these rights are not negotiable…they are absolute. I can’t tell others not to talk about their religion, and they can’t tell me not to. It is the law. As to “or abridging the freedom of speech, or of the press; or the right of the people peaceably to assemble, and to petition the Government for a redress of grievances”, we may not always agree with what people say, and sometimes it isn’t nice, but they have a right to speak. They have a right to give their opinion, whether others like it or not. By the same token, we have the right not to like what is said, and thereby we can decide not to like the person. That is our choice. The same applies to the press. That is the main reason why so many people just don’t believe a word some rag newspapers print. They can say what they want…true or not. There are so many other violations of the Bill of Rights, that it would take a book to list them all, but I would really encourage everyone to get a copy of the Bill Of Rights, and find out for yourself exactly what is written there. Every time we allow our rights to be trampled on, we lose a little bit of the rights that we were intended to have through the Constitution and the Bill Of Rights. The longer those violations are allowed to go on, the more people think that they understand their rights, when they really don’t, and so they end up giving their rights away. 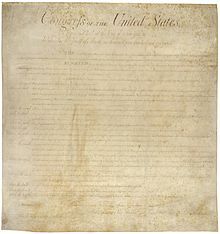 Our Constitution and the Bill Of Rights, and indeed, all the amendments to the Constitution, are so important to each and every one of us, and we need to know what is there, so that when some branch of the government steps on those rights, and someone speaks out about it, we don’t find ourselves on the wrong side of the issue. It really isn’t about whether or not we agree with the issue, but whether or not it is legal, because if the government will take away one right illegally, they will also take away another right illegally, and someday, they will get to one that affects you…but by then, it may be too late to stop an already runaway government. 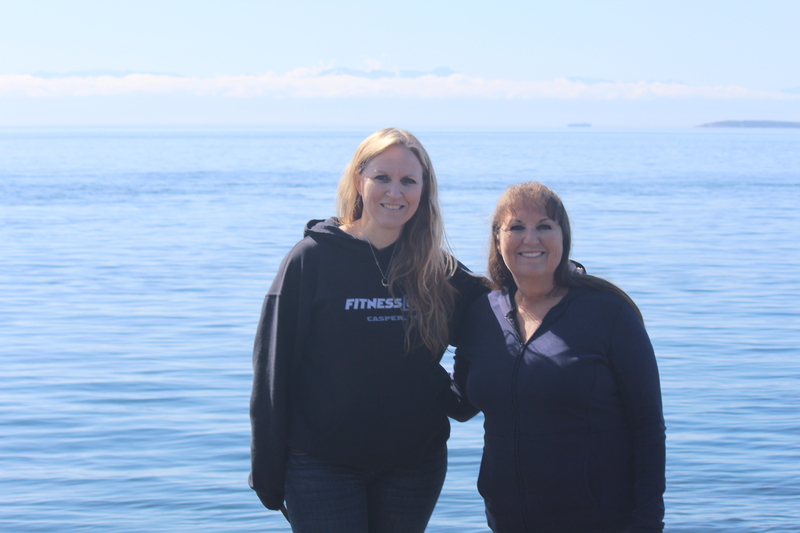 In the relatively short time that our family has really reconnected with our cousins on my dad’s side, I feel very blessed to have had the opportunity to get to know my cousin Shawn Fredrick. I have to say that his personality has been such a pleasant surprise. For some reason I always thought of Shawn as really shy and serious, but now I know that he has an amazing sense of humor, and a real talent for history, especially family history. I think that part is in his blood. 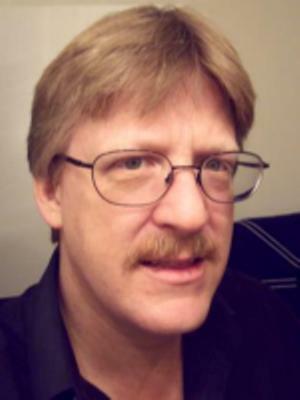 His grandma, my Aunt Laura Spencer Fredrick, and his great uncle, my Uncle Bill Spencer, have been studying family history for a long time…as have his Uncle Dennis Fredrick, and his dad, Gene Fredrick, both of whom are my cousins, and of course, his older brother, Tim Fredrick. I’m sure that Shawn and Tim got into the history about the same time, with their dad’s interest in it, and he was helping Uncle Bill with copies, layouts, scanning, and researching. Nevertheless, once you start looking at family history, it is very easy to become additced to it…I should know. I find, the more I get to know Shawn, that we think a lot alike…especially politically, which I love, but for the sake of my friends who disagree with me politically, I won’t go into now. Nevertheless, I think Shawn and I have a similar sense of humor too, because we also seem to find the same things funny. Shawn likes trivia, which is, in my opinion, a lot of fun too. I love to see what might have happened on a certain day in history, or even just learn about unusual facts. I think Shawn is a lot like that too, because of the things he posts on Facebook. I really like the way Shawn explains the things he is telling you about. He is very thorough, and when he is done telling you the story, you really feel like you know what was going on. Not everyone has the ability to tell a story in a way that makes you feel like you are there too. I think both Shawn and Tim are very intelligent men, and both are very excellent computer programmers, but they both also love woodworking, which is another thing that is in their genes, through their dad, Gene, grandfather Fritz Fredrick, and great grandfather, Allen Luther Spencer, and probably other people on the Fredrick side of the family too. Their dad made beautiful dressers, desks, and cabinets, and taught them how to make them too. Still, I’m not sure that just anyone could learn that. I believe it takes a bit of inherited talent too. I am not sure that I could make anything that would look like it was anything much, and that is one area that Shawn and I differ greatly. Of course, not all of his projects are geared toward beauty, necessarily, some like the mirror that fell, are geared toward functionality, with a little humor mixed in, as you can see from Shawn’s comment about that project. “My mirror fell in the middle of the night and shattered so in the tradition of my father for sturdy building projects that never have to be fixed again, I just installed another one with drywall anchors rated at 60 pounds. Unless we have a 7.0 earthquake, it’s not coming down again in my lifetime” No, I’m sure it won’t Shawn. Like your brother said, “When Mt. Cheyenne suddenly and unexpectedly erupts and the pyroclastic flow brings down mirrors across the city, yours will be standing!” If you can pull that off, you are a great craftsman. Seriously though, Shawn is a very talented man, and I am proud to call him my cousin. 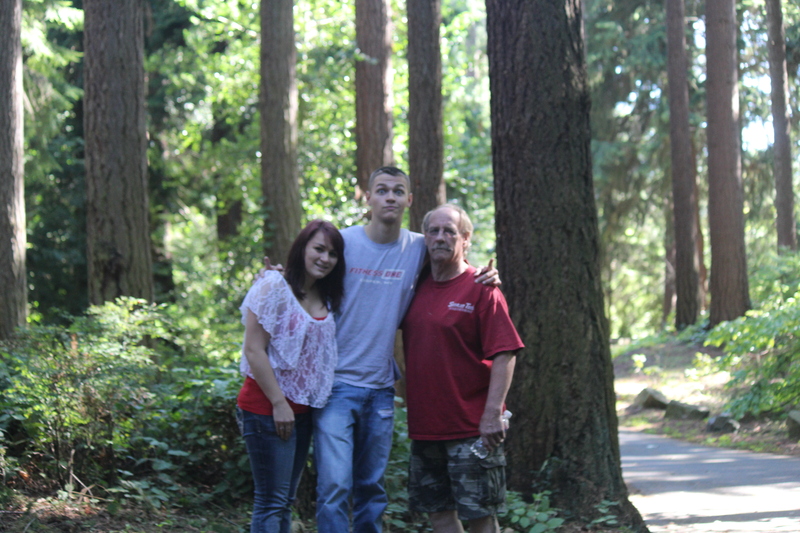 Bob and I, along with our granddaughter, Shai Royce have looked forward to our trip to Seattle, Washington to see her parents and brother for the three and a half months since they moved there. It has been a long and sad time for us here, and them there. Now that the trip is over, the sadness has come flooding back in again. The trip was lovely and we all had such a nice time. It was so good to be able to see where they live and tour the area. We talked and laughed, and just enjoyed each other’s company again. It felt a little bit like old times, except that we were in the wrong place for old times. So, it is like new times, instead of old times. All week we tried not to think about just how fast the week was going. Nevertheless, it was going by fast. You can’t slow time down. It goes at the pace that it does, and it doesn’t care how you feel about it. There are only so many hours in a day and only so many days in a week. And you have to sleep some of them too, unfortunately. That makes a short amount of time go even faster. And a week is such a short time anyway. This trip was centered around Amy and her husband, Travis Royce renewing their vows for their twentieth anniversary too, so there was a group of people, and not just us. We had to share them, and what I really wanted to do was to have them all to ourselves. Nevertheless, share we must, so share we did. And I understood it too, because we weren’t the only ones who had missed them. Still, we had a very nice time. It was just too short. Bob and I have often taken just one week of vacation at a time, and thereby had two weeks of vacation at separate times, but with our daughter and family living so far away, I can certainly understand why my parents always wanted to take at least two weeks to go visit when they had daughters who lived far away. Maybe if we had taken two weeks, it wouldn’t have felt like it went by so fast, but then again, probably not. In reality, it doesn’t matter how much time you have, because it will just never be long enough. 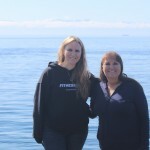 During the week we were with Amy, and her family, it was easy to distance ourselves from the time that was coming so quickly, when we would have to leave them…at least most of the time anyway. We did all the things that tourists would do, as if this was just another carefree trip with no impending separation, but inside I knew that in just a matter of days, we would all be feeling the rush of sadness once again. When the last day arrived, we went to breakfast, still able to pretend that it was a day like any other day, but all too quickly that time passed too, and the easy conversation of the meal at the restaurant turned into the quiet reflection of the sadness we all dreaded. In the end, the words simply stuck in our throats behind the tears we were trying so hard to hold back. Of course, we failed miserably, and the tears ran silently down our cheeks. 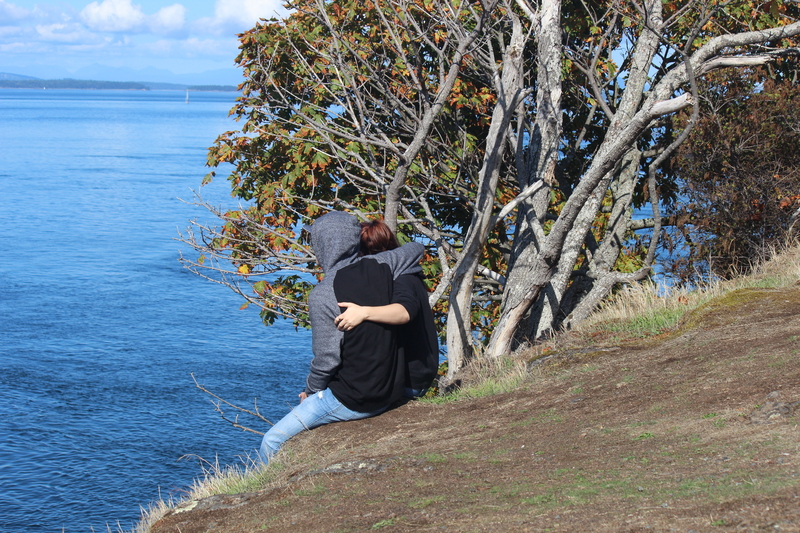 We hugged each other, once and then again and again, but finally we had to leave. The ride to the airport was very quiet. We simply couldn’t speak. I thought about how Amy must be feeling, and the story Shai had shared with me about her first day at work. She set the pictures of her family on the shelf in her cubicle, and with a rush of emotion thought about the fact that she could not hug her daughter. I knew she would be feeling the same way again. We had hugged each other over and over and spent as much time together as we possibly could, but in the end, it is just never enough. For most of us, life is busy. 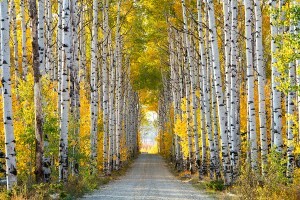 We all have our own goals and dreams, and we just go along with our lives without thinking about it very much. That is the case with my nephew, Jason Sawdon, who married my niece, Jessi Hadlock just over three years ago. They are very social people, and they love to entertain. That said, they have been busy working on their back yard this summer. They put in a fire pit so that they can enjoy the peace and quiet of the fall evenings around a cozy fire. As homeowners, they have singled out several projects that they want to take on this year. Remodeling one or more rooms can bring new life to a home. 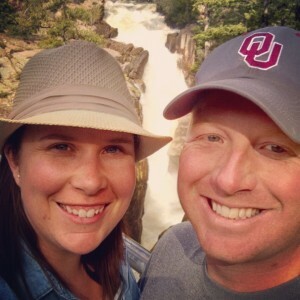 Jessi and Jason are remodeling one of the bathrooms in their home. Jason plans to do the manual labor, while Jessi designs the plans. I’m sure it will turn out great. Jessi is pleased with the fact that she is designing her dream bathroom, and Jason is agreeable to building what she had envisioned. Of course, no one can just work on the house all the time. 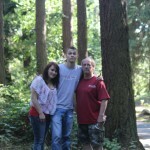 Jessi and Jason have been going camping too. Not as much as they would like to go, but unfortunately work and the house have kept them at home a lot of the summer. Jason is originally from Michigan, but has a real love for Wyoming. In August, Jason and Jessi had the opportunity to go camping in the Big Horn Mountains with his parents and four of his nine nieces. They had such a lovely time. I don’t know if Jason’s parents do much camping, but whether they do or don’t, the Big Horns is a beautiful place for a camping trip. They all had a great time. They rode the RZR four wheeler, and got to see a variety of weather types, from hot to cold, from rain to snow. That’s one thing about the mountains. You never really know what kind of weather you are going to have. 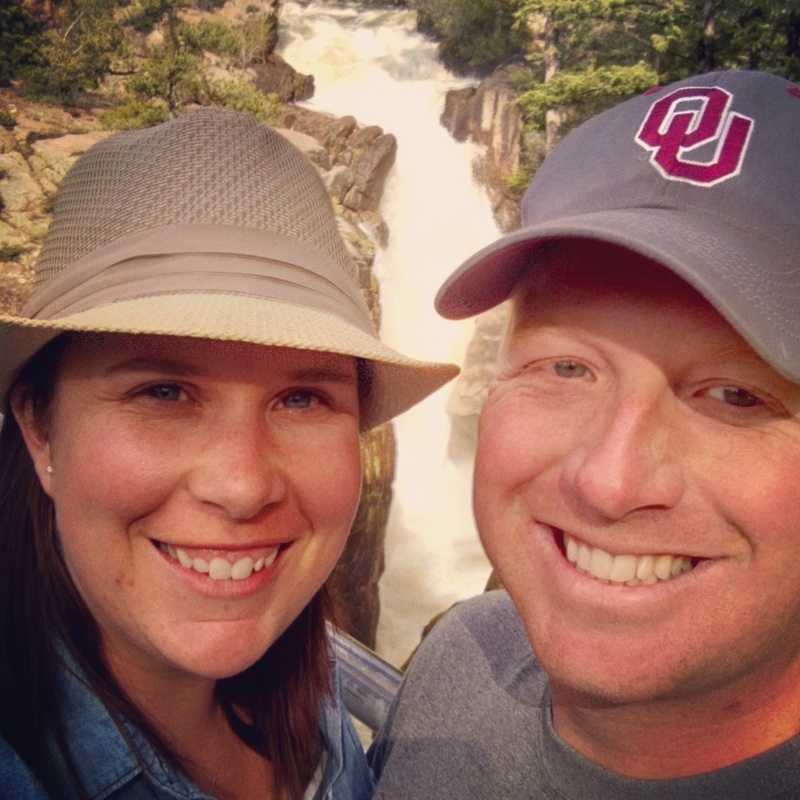 One of their favorite places to go is to Savery, Wyoming, which is south of Rawlins, Wyoming. I haven’t been there myself, but Jessi tells me it’s really pretty. Jason discovered the area when he first moved to Wyoming. He has friends in the area, and they like to go hunting there. Jason doesn’t hunt, but he likes to hang around with his buddies, and the Savery area is great for that. There is no cell service there, so he can really feel like he is in the wilderness. It’s a great way to disconnect with work and reconnect with self. Today is Jason’s birthday. Happy birthday Jason!! Have a great day!! We love you!! 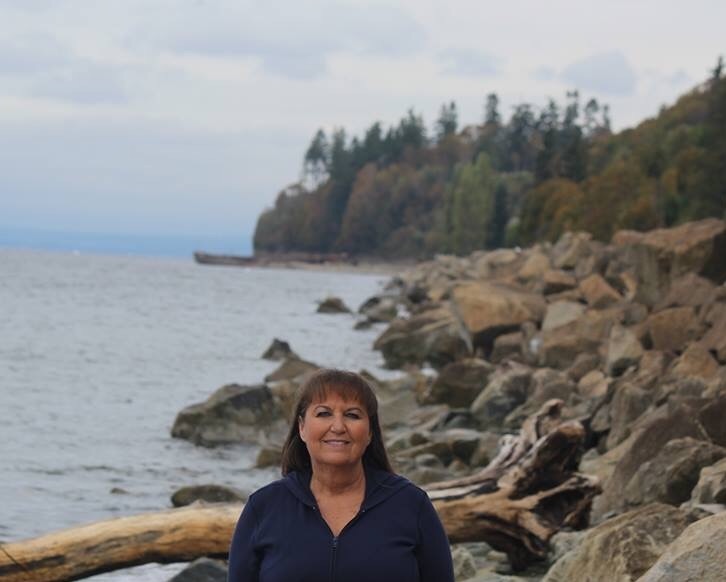 When my daughter, Amy Royce and her family first moved to the Seattle, Washington area, I started looking around online to see what sights there might be for them to go visit. The first thing I came across was the Pacific Queen shipwreck. I was excited to tell them about a shipwreck in their area. I thought it might be a cool thing to go see. Amy researched it too, and found that it was on a private beach. We were disappointed, but I couldn’t get it off my mind. Bob and I had a little time on Saturday, so we decided to head back out to Puget Sound. I got an idea to see if there was a place where we could actually see the ship, and found that we could see it from Picnic Point Park. While we could not get close to the private beach where the Pacific Queen rests, we were treated to some really good views of the ship, and I was so excited. This was something I really wanted to see. I started researching the origins of the Pacific Queen online, I found that she was a old minesweeper. The ship was not wrecked, but rather brought to the site by a man who planned to salvage the metal on her. So the only wreck she had was when she was run aground to her final resting place. The Pacific Queen is one of 27 boats that were brought to the sight over the years, but she is the only one that really still resembles a ship. Several of the boats are underwater except during low tide, and those still look somewhat like ships too. I admit that I was a little disappointed that it wasn’t an actual shipwreck, but then again, the ship was built in the 1800s. It was actually brought to its current location in 1929, and really has been an area attraction since that time. The best way to get up close is by kayak, but the beach is off limits. 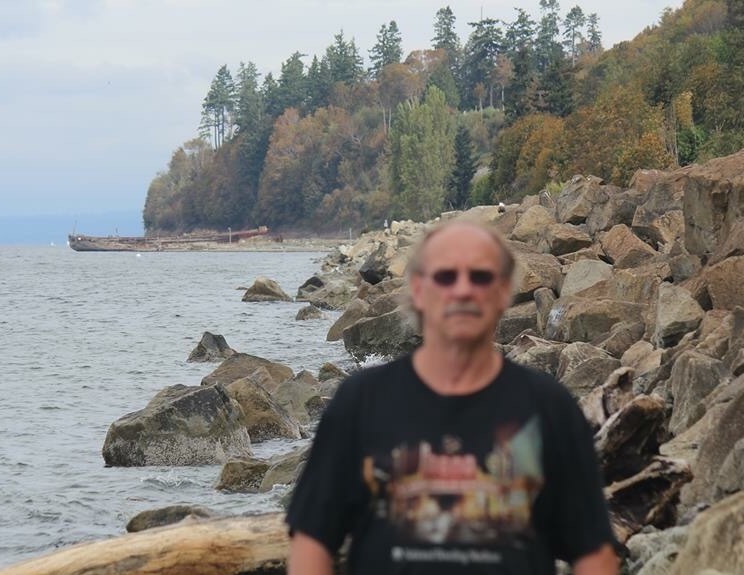 Apparently you can walk the distance from Picnic Point Park to the Pacific Queen during the low tide, but it is not recommended that you go onto the actual beach. Nevertheless, a few people have ventured close, and if the owner was in a good mood, they might have been treated to a few of the stories surrounding the boats and their arrival at the current sight. In the end, with the boat viewing and my research, I felt very pleased with this adventure. Whether she had wrecked or not, the Pacific Queen was a very cool boat. It was amazing to sit and wonder where she had been and what she and her crews had seen. A minesweeper must have been an important boat, and I would think that would be a dangerous job. If you didn’t see a mine and you bumped into it…well, it was all over for you. Nevertheless, the crews of the Pacific Queen must have been good at their jobs, because she survived the war and ended up on her current resting place, a ship of beauty and intrigue, sought out by many and having her picture on the Internet for all to see. I know that for me, it was a view I will never forget.